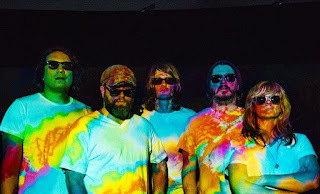 RockChickenz: The Black Angels share new track "Half Believing"
The Black Angels have shared new track Half Believing, the scorched-earth centerpiece off their upcoming LP Death Song, out April 21st on Partisan Records. 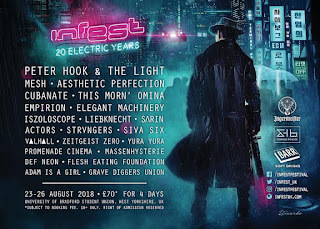 In addition, the Austin psych-rock godfathers have confirmed a run of West Coast tour dates, following an expensive tour this Spring that includes a stop at new NYC venue Brooklyn Steel on May 2. Full routing below. Produced by Phil Ek (Father John Misty, Fleet Foxes, The Shins), Death Song is the band's first LP in 4+ years, and has earned early raves from NPR, Drowned In Sound, Mojo, Shindig!, Classic Rock, Record Collector, the NY Times + more. On April 22nd, a special limited edition release of Death Song will be made av ailable in honour of Record Store Day, including the new album on two glow-in-the-dark vinyl LPs and packaging printed entirely in blacklight-reactive ink.